﻿ Are Indian retail fixture manufacturers on the crossroads? 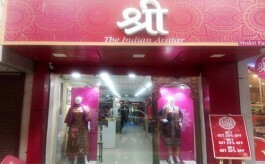 Home » News » Retail » Are Indian retail fixture manufacturers on the crossroads? India’s fixture manufacturing industry is fast making its presence on the international retail map. But the success is still confined to a few topline names. Also the export percentage for each has still not crossed the 20% mark. So how can this number go up? A combination of higher retailer confidence in Indian fit-out manufacturers and improved capability on the part of the industry with strategic partnerships, finds out VM&RD. First the good news. In a survey done by VMRD last year among 26 leading fixture manufacturers in the country, it was observed that the number of players with 100,000 sq ft facility had grown substantially in the last few years, with the average area fitted by each company almost doubling in the last two years, from 3.25 lac sq ft to 5.9 lac sq ft per supplier. 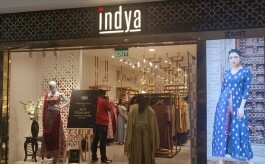 The better news is that top line brands like Scotch N soda, Superdry, H&M, etc., which began by importing their line of fixtures eventually gained confidence in Indian vendors. Also, if we gauge the growth of store fit-out vendors across all categories, fixture manufacturers seem to have more to show compared to their counterparts in other categories. The above mentioned VMRD survey also revealed that while the percentage of exports by the leading vendors has not really increased in last couple of years, the number of exporting companies grew from 39% to almost 50%. Also with India’s organized retail growing significantly at a CAGR of 20-25% annually (Source : Anarock Retail Report), there is huge scope for store fit-out manufacturers in the country. Besides, Indian manufacturers have also been able to gain traction as fit-out experts among SAARC countries such as Sri Lanka, Dubai and Africa. Starting relatively earlier compared to other service providers, the Indian fixture industry, aided by focus on R&D and infrastructure development, is exporting significantly to these countries. But now comes the sobering part. Despite these cheering projections, there’s still a sizeable number of global brands including Aldo, Charles & keith, Only, Vero Moda, Jack & Jones etc, who even after a good stint of retail operation in India, are still importing their store fixtures. So, even as Indian fixture manufacturers are proving their competence as global supplier to top-notch brands, there are still many brands shying away from outsourcing their fixture requirements to Indian manufacturers. Why is this so? Is it a matter of perception? Or is there more? What’s the positioning in the global market? One reason could be the lack of a clear communication of USP or positioning. A look at other exporting countries shows that every fixture exporter comes with a distinct USP – China is known for its competitive and cheap pricing, Italy and other European countries for the sleekness of their fixtures, USA, for reliability in terms of load bearing, compliances, turnaround time etc. But when it comes to India it appears that fixtures manufacturers have not yet carved a distinct positioning in the International market. Nilesh Rathod, Founder, Ensemble Infrastructure Pvt Ltd, agrees, “While the last few years have moved retail fixture manufacturing to metal usage, we still have to wait and watch if the demand is for larger sustainable supply chain. 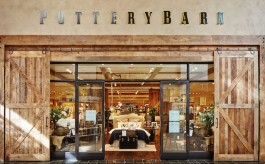 There are still some of affluent retail brands who are opting for sizeable import. Therefore, we guess that there’s a big substitution market, which is yet to happen. We can only wait and watch.” What this means is that with no clear picture on what trends to expect from international trends, Indian fixture manufacturers seem unable to crack the export market in order to grow further. It is probably due to these reasons that the average turnover of leading Indian fixture manufacturers in the last two years has dropped by about 19%, most probably abetted by fall in prices and further spread of the pie shared by smaller and newer players. And while the number of exporting companies has seen a jump of about 10% in the same time window, almost no company has crossed 20% when it comes to the export size of their overall produces, as already mentioned. Due to the obvious challenges many retail fixture manufacturers possibly don’t see much returns coming from investing in the efforts to draw in an international clientele. As industry players point out, deeper the pocket, bigger the export size. And even though there has been a significant surge in infrastructure development for catering to domestic market, the prototyping effort for the global markets, which is largely price-sensitive, does not commensurate well with medium and small sized fixture manufacturers. However, with the retail business increasingly going global and India becoming a hub for global players, catering to the international market would be an inevitability. So how can the Indian retail fixture industry tap the export market in a growth conducive manner? And what is the next step for them? The fact is, as pointed out by industry players, although there’s collective effort towards R&D pertaining to materials and manufacturing process and simplifying packaging and logistics, almost no thought leadership is shown towards customer-centric design or geography-oriented research from the fixture manufacturers. So as already mentioned, market research would probably be the first important factor. Also, success in the export market is a long-term process which requires patience and sustained efforts. But for the success to spread to more number of players in the industry would also mean meaningful tie-ups with industry names across different countries, who can pave the way to market Indian vendors. For example, Spanish company Kider India was taken over by Indian promoter in 2014. Even with its Spanish heritage, the company, with its target to achieve 10% business from exporting to European countries, is going in for technical tie-ups with Polish and Spanish leaders. Well, it certainly looks like research, clear market positioning and strategic tie-ups with international industry leaders, are some of the things that the industry needs to adopt to grow in the export market. And last but not the least, is that top-end retailers need to realize that numbers do not always reflect the story. So even though Indian fixture manufacturers may not show big numbers in their export kitty, it is in no way an indication of their expertise. On the other hand, it only shows that there is need for greater confidence and willingness to explore their capability on the part of the retailers.